and I think about posting and take pictures but never end up putting them up, now I will. 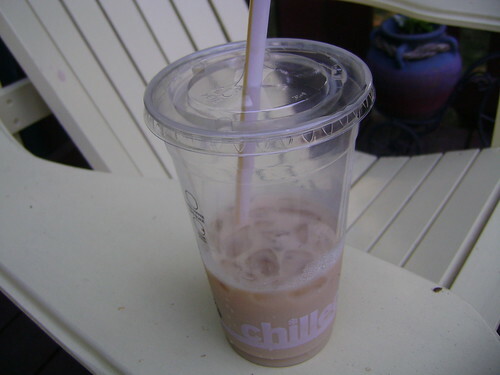 McDonalds Caramel Ice Coffee: these $1 drink days are a killer, but so good. If you tried the Vanilla and weren't a fan, try the Caramel! Being productive: Since I have been on summer break since May, I did absolutely nothing except go on twitter, tumblr, youtube and blogs. Until now when I started babysitting, you realize how short the day is and get things done. Shorts: I never really wear dresses or skirts, but once it gets hot out (which it definitely is now) I break out the shorts and have been LOVING white shorts. Youtube: I used to make videos under AlsMakeup and I wont say I'll never go back, however I read a blog about how what you put online is a representation of who you are and you should own it, I feel like a lot of times though I was relatable, I came off as an airhead talking about how bad I want my hair to grow for 10 mins, so they are privated for now..